Knowledge is dynamic. It grows and evolves according to the needs of human society. In the past, different civilizations categorized knowledge to suit the cultural paradigm of their times. A key focus of the present time, and an area demanding much further investigation, is the relationship between humans and nature. Sciences must be our guide in this endeavor, but history too can teach us important lessons of co-existence with our environment. To date, education and the media have only succeeded in fostering a culture characterized by narrow vested interests, intolerance and violence. There must be a fundamental change in education, creating the desire for proactive environmental protection and respect for human dignity and rights, as the two are mutually empowering. 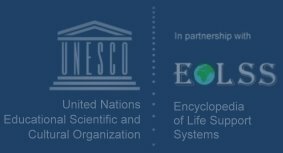 The EOLSS body of knowledge is inspired by a vision that includes the following paradigm: The sciences should be at the service of humanity as a whole, and should contribute to providing everyone with a deeper understanding of nature and society, a better quality of life and a sustainable and healthy environment for present and future generations.